We had a busy first term. Take a look at some of the activities we took part in during September and October. Well done to the children who represented the school in the East Mayo Scór na bPáistí competition. 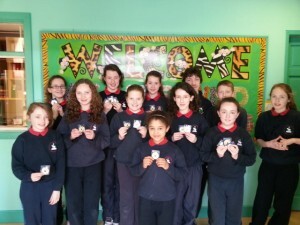 The competition was held in Kilmovee on Wednesday, 26th March and the children involved in the ballad group, figure dancing, set dancing, solo singing and séan nós dancing successfully qualified to the County Scór na bPáistí finals. Sincere thank you to Mrs Coyne, Gráinne Kelly Frayne and Ann McLoughlin for their work with the children.